ALL THE LEAVES are brown and the sky is gray. Just kidding! There are no leaves at all, but we’re heading out to the Land of Dre. It’s our first ever trip to the LA Zine Fest. If you’re wondering why, exactly, we would fly across the country with a bunch of books meeting us there, well, blame Tom Neely. He pretty much dared us to go at the last SPX. Tom is, of course, a native Los Angelean or a Los Angeleno. Something like that. We’re native New Yorkers. If we were at all cool, we’d drop a street single for the occasion, but instead we’ll probably crash into each other just to feel something. In other words, yet again, we have no idea at all what to expect. We do at least expect Sar Shahar, of Sequential Vacation 2 fame, to be at the Secret Acres table. Sar, in addition to being ferociously talented, was lots of fun to hang out with at CAKE, where we debuted his mini. It’s worth the trip just to hang out with him. There will be a Special Guest at the show with us, none other than Damien Jay, he of the Natural World and lots of other stuff. Not only do we adore his comics, he just so happens to be the babydaddy (and husband) of Minty Lewis, the goddess behind our very own PS Comics, and, of course, one of the gang running that Regular Show. If you didn’t know, she’s the voice of Eileen, too. How’s that for Hollywood? For quite a while now, Minty’s been the lone Lady of the Acres. With all the talk about gender disparity in comics, we should maybe say something about that, especially since someone just asked one of our artists why we don’t publish any women. Secret Acres, as now legally constituted, is two gay guys and a woman, Casey Gonzalez, former Sheriff of the Acres and now an official Editor. The majority of our customers are women, going by all the data we could gather, and even counting customers as best we could at shows. Those efforts were part of helping out a friend, Janelle Asselin, also a woman, who is writing a book about women and comics, and who pops up in the documentary, She Makes Comics. Does this sound like we’re making excuses? Are we going to get killed, Image-style, when we post our Secret Acres family photos? We have tried and failed to publish no less than eight women, by our count, all of whom found homes elsewhere (though we have not given up just yet). Trust us; it ain’t from lack of trying. As they say in France, if at first you don’t succeed, try and try again. Our five year comics publishing sausage party is finally coming to an end: everyone say hi to Corinne Mucha, the new woman in town, now with her very own page on this site. Hi, Corinne! Let’s hope this becomes a regular thing. Speaking of documentaries and queer folks and comics, you simply must watch the Edie Fake special up on the Comics Journal, Rad Queers: Edie Fake. Graham Kolbeins, which we sincerely hope is pronounced, “Cool Beans,” shot this thing in Chicago with our man Edie, featuring the guys from Printed Matter and Thomas Robertello, of the now defunct gallery which bore his name. If Robertello sounds familiar, that may be because it was the place Edie’s Memory Palaces project was first shown. 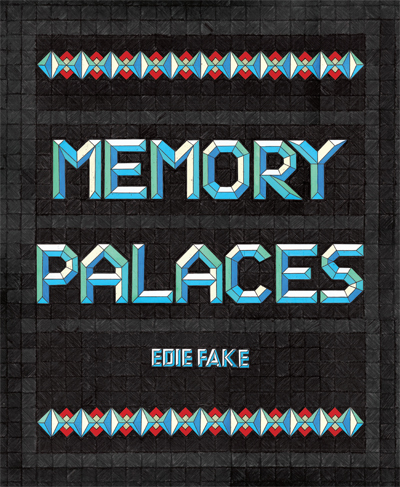 As you know, there will be a Secret Acres book of Memory Palaces making its debut at MoCCA. To celebrate this, we thought we’d show you the cover. Not bad huh? Since we’re spilling the beans on MoCCA and covers, take a look at the brand new Only Skin, also dropping back into print at MoCCA. 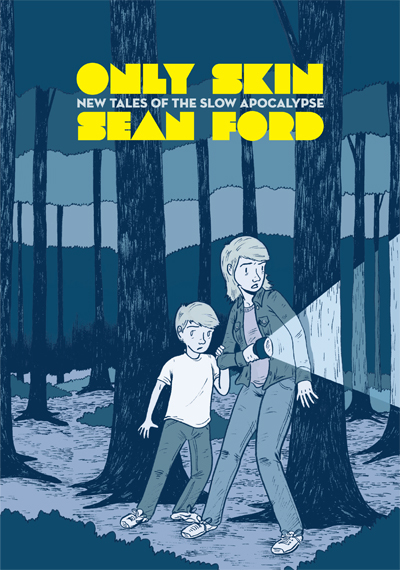 You’ve already seen the cover of our other MoCCA debut from that Mike Dawson guy. But enough MoCCA. We’re knocking the rust off on LA Zine Fest first. If you’re in LA, come on by. What else is there to do in LA, anyway? We’ll see you back here next week for our big con wrap up.